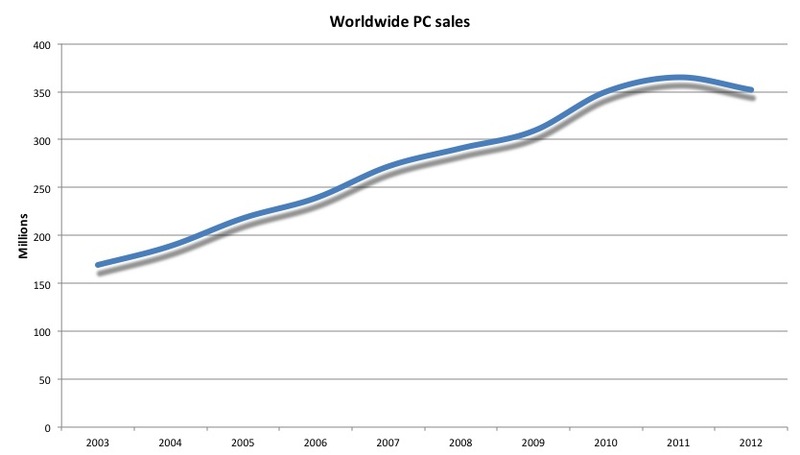 Can PC sales predict our digital future? During the last 30 years, Personal Computers sales never stopped growing. Of course, over the years, computer production went from desktop to laptop and in 2006, industry sold more laptops than desktops. Today, another statistic provides the opportunity to see how the next computer will look like. Since 2010, after decades of good results, computer industry is struggling to sell more PCs worldwide. Worse, sales are regressing as 352 millions units were sold in 2012 versus 365 millions one year before. Of course, in order to explain this trend, you can point out the economical recession, market saturation and other factors. But fundamentally, there is a new device that didn’t look like anything that existed: the iPad from Apple. Though, when it came out, this device got severely criticized by the tech industry and medias in general. What would this tablet be used for? Even if all experts were skeptical, it is time, almost three years later, for an appraisal and it leaves no doubt. 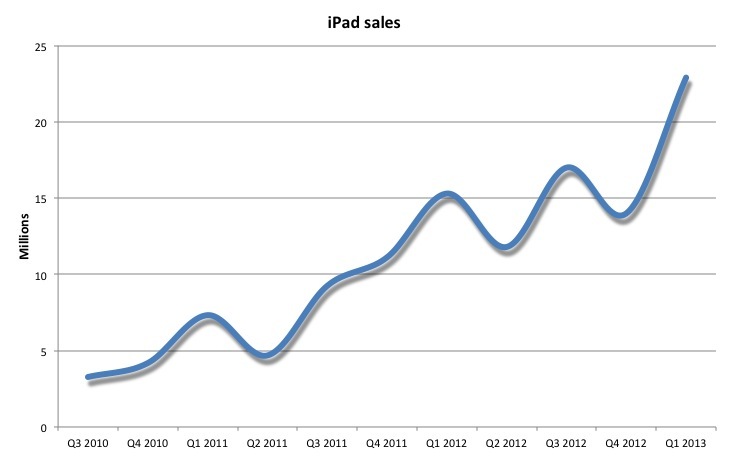 Apple already sold more than 120 millions iPads and for 2012 alone, 66 millions devices found a new home. Such a success can be explained by the revolution the device brought to an industry that was focused on technical arguments and didn’t offer anything new since 1992 and the first laptop with a color screen. 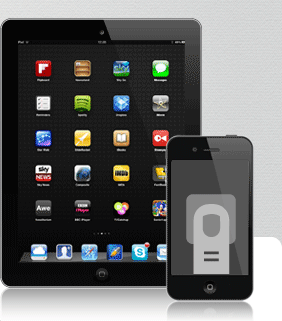 Since 2012, Apple is not alone anymore in this tablet industry and serious competitors started to knock at the door. Beside Apple’s best enemy (Samsung), it’s worth mentioning Microsoft as they are trying something they haven’t done since the launch of the X-Box in 2001; they commercialize a device conceived by their engineers and called Surface with its own operating system Windows RT (for RunTime). Today, IDC, Forrester, Gartner and others predict a bright future to the tablet industry with sales estimated to reach 190 millions devices in 2013 and for 2015, sales will exceed PCs. In other words, 5 years should be enough for the tablet to catch up 30 years of PC sales. On another note, smartphone sales exceeded 500 millions units in 2012 and are just showing where consumers are going to. At Genius App, we don’t have a crystal ball but we clearly see where the direction this industry is heading to and it is called “tactile”. Are your company and its business applications ready for this technological change?